J.I.M. Stewart was an Oxford don and a professor of English literature who, under the name of "Michael Innes," wrote close to fifty mystery novels and a passel of short stories from 1936 to 1986, which gave Appleby and the Ospreys (1986) the honor of being the last detective story to be published by a big name from the genre's Golden Age – published two full years after Gladys Mitchell's last book (The Crozier Pharaohs, 1984). So he outlived all of his contemporaries and was among the first to be brought back in print during the early 2000s. Amazingly, I have only read a handful of mostly his earlier mysteries, such as Death at the President's Lodging (1936), Hamlet, Revenge! (1937) and Lament for a Maker (1938), while having a whole bunch of them on my shelves. So I decided to finally return to this series and randomly picked a title. You can say I hit the bulls-eye with my pick. Appleby's Other Story (1974) is a late entry in the series, however, the story is excellent with a well put together plot and one hell of an alibi-trick! 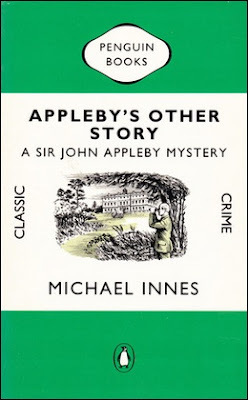 This story begins when Sir John Appleby, retired Chief Commissioner of the Metropolitan Police, accompanies Colonel Pride, Chief Constable, to the lofty abode of Maurice Typherton. Elvedon Court lies "confidently aloof" behind a spreading lawn with two stories superimposed upon "a heavily rusticated ground floor" and the basement level had been dug deep into the ground – giving the effect of "the Perfect Cube." Two years ago, "a number of not-all-that important pictures" disappeared from the place and Typherton wanted to consult Appleby, who's "the country's acknowledged authority on art robberies," but, when they arrive at Elvedon Court, there are police cars parked outside. Maurice Typherton was shot dead following a house party. Initially, Appleby had no inclination to get involved, but then he recognizes one of the house guests, Egon Raffaello, who's an art-dealer of ill-repute and the conversation he has with this old acquaintance convinces to get involved. A tête-à-tête interrupted by the Prodigal son, Mark Typherton, who returned home in secrecy. And now practically inherits the entire estate. Appleby begins to wander the hallways of Elvedon Courts and interviews all of the suspects. So the story largely consists of a series of conversations and this is somewhat reminiscent of Ngiao Marsh, but this didn't result in, what is known as, "Dragging the Marsh." More importantly, Innes actually managed to achieve a very unusual effect through these wanderings and conversations. Nick Fuller correctly observed in his review that the story has "a sense of time-warp." During the interviews, Appleby uncovers that Elvedon Court is a homely, cozier incarnation of Sodom and Gomorra with a lot bed-hopping. There's a reference to loud pop-music coming from "a domestic juke-box" during the house party and one of the characters acknowledge the story place "in the nineteen-seventies," but this makes for a weird contrast with the classical, country-house setting and ingenious plot – giving you the idea a cast of modern-day characters were transported to a 1930s country house mystery. And the alibi-trick is everything you'd expect from a great thirties detective novel. I think this one was close enough that some would probably label it as one, but promised in my previous review that this would be a non-impossible crime review and this was part of the reason why I returned to Innes. But, as you can see, I can't seem to escape from them. Well, this is all that can really be said about the book. Appleby's Other Story is a relatively short, conversational-style mystery novel, but has a pleasantly unusual, slightly surreal atmosphere with a plot worthy of the best from the past. A necessary reminder that Innes was better than I remember him and will try to return to him sooner rather than later. Probably with Appleby and the Ospreys. Thanks for the review. I will have to pick this one up. Have you read Appleby & Honeybath? I found a copy at a book sale this past summer and bought it only because it promises a locked room mystery - disappearance of a dead body from a locked library. It's one of Innes' last books published in 1983. Still have yet to get to it. Perhaps next month. My favorites of the Appleby books so far are Appleby's End, The Daffodil Affair and What Happened at Hazelwood? My tastes lean towards his weirder ones and those that rely heavily on preposterous or fantastical plots. I'm willing to allow Innes his flights of absurd fancy because he does it so elegantly and wittily. I haven't read Appleby and Honeybath, but the book is on the big pile and will probably be one of my next stops in the series. And it's not just a locked room mystery. 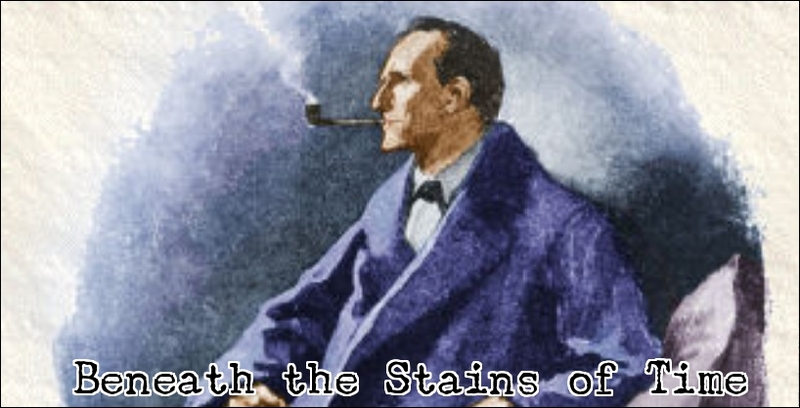 Innes paired John Appleby with one of his lesser-known detective-characters, Charles Honeybath, who had three solo outings. I only read Honeybath's Haven, but remember it being pretty good. So you might want to read that one before tackling the Appleby/Honeybath crossover. Appleby and Honeybath is *very* weak. It might have been the one that made me stop reading Innes for a couple of years (a long time when you're an early teen). It has a disappointingly anticlimactic solution that Innes used several times in his late books. That's not very encouraging! Oh well, I can always swap it with either Appleby on Ararat, What Happened at Hazelwood? or A Private View. Of those three, What Happened at Hazelwood? is the best. Appleby on Ararat is one of Innes' jeux d'esprit; it begins as Robinson Crusoe, turns into an adventure story, ends up as a WWII thriller. It's fun - but not a detective story! A Private View is a light-hearted crime caper; it should have become an Ealing comedy. Your first Innes review! My word! My favourites: the dazzling opening quartet (Death at the President's Lodging, Hamlet, Revenge!, Lament for a Maker, and Stop Press); the phantasmagorical Daffodil Affair; the exuberant adventure story From London Far; the G&S-type melodrama What Happened at Hazelwood; and the Waughian inverted story The New Sonia Wayward. The Weight of the Evidence and A Night of Errors are great fun, too, and many of the late ones are at least pleasant reading. Technically, this is not my first Innes review, because I came across one or two of his short stories in some of the more recent anthologies. I believe there actually was one in The Black Lizard Big Book of Locked Room Mysteries. Anyway, I agree with you on the first three Appleby novels, but have yet to read Stop Press. Is it really as good as the first three? The Daffodil Affair reminded me of Gladys Mitchell and remember loving the false solution from The Weight of Evidence suggesting that the victim was plagued by the myth of Sisyphus. Very clever in a humorous way. Anyway, thanks for the link! I'll try to return to Innes more often, because he's one of those big, gaping holes in my GAD reading. I've read a lot of obscure writers over the years, but have barely touched some of the more well-known GAD writers like Josephine Bell, J.J. Connington, Henry Wade and the Coles. However, I have made some headway with Bush and Punshon over the past two, three years. Is Stop Press as good as the first three? Oh, yes. Very much so. It's an *acquired* taste, though; Grobius Shortling hated it. Curtis Evans, on the other hand, calls it "truly exceptional, [an] entirely original mystery classic". Mr. Michael Innes’s Stop Press is unquestionably the best detective story published for many months. It may not be everybody’s cup of tea, for it is leisurely and highbrow. Moreover some readers may object to nearly 500 pages without even a—but that is unfairly to disclose the plot. Yet for careful, dignified and at the same time unfailingly witty writing it would be hard to beat and the characterisation—with possibly one exception—is admirable. I'll make it a toss up between Stop Press and What Happened at Hazelwood? Thanks for the recommendations!